The Planning and Zoning Board approved plans for a Kaluz restaurant last week, increasing the probability of another dining option for Plantation. 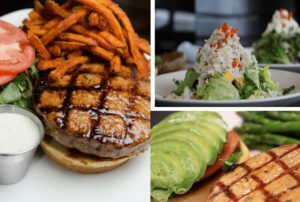 Kaluz is described as “good American cuisine.” The first restaurant opened on Commercial Boulevard in Fort Lauderdale and a second opened in Wellington. I have never eaten there, but some say it is comparable to J. Alexander’s. The plan is to build at the old Romano’s Macaroni Grill site on North University, near the new Pollo Tropical. The 1.82-acre site will have room for 180 restaurant diners and another 32 at the bar. There will be valet parking. Here’s the link to the Fort Lauderdale Kaluz. The city council will be presented with final plans for approval in a few weeks. 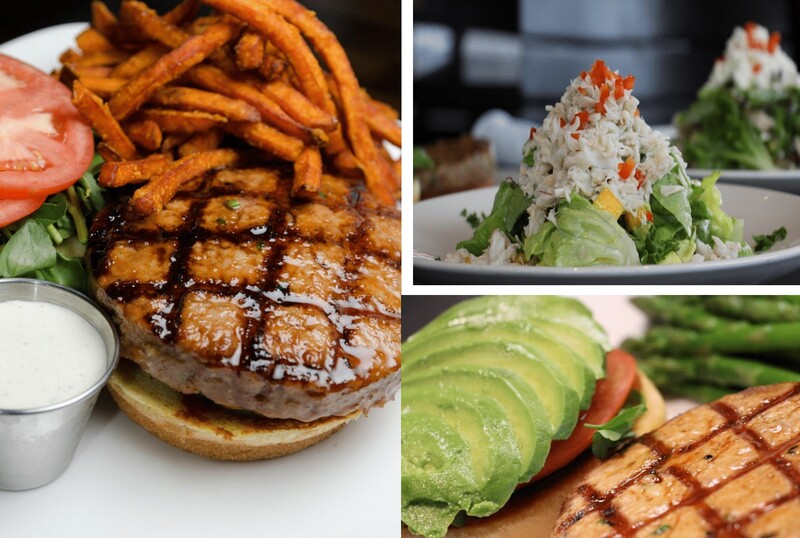 I’ve often heard residents complain that we’re a little shy on nice restaurants, with J. Alexanders, Mustard Seed and Vignetos Italian Grill as exceptions. (Also Jacaranda Country Club, Plantation Country Club and the Renaissance Hotel.) But with the remake of the Sears property on Broward, bringing us YOLO, and now this, there is hope. If you’ve driven through Plantation Central Park during the day, you’ve likely seen more cars on the northwest parking lot. That’s because the city struck a temporary deal with the management of the Lakeside Office Center, and that’s a good thing. The Lakeside building property, just north of the Publix plaza on Pine Island Road, is under construction and lost 303 spaces. Management will pay the city about $150,000 to use the Central Park lot during weekdays business hours and shuttle employees back and forth. Their security guard watches the cars. The city council approved the agreement on March 20. The arrangement is for about a year. 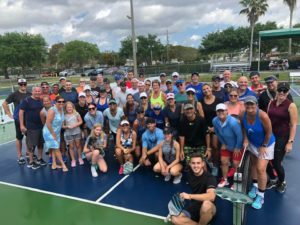 A charity day of pickleball drew 28 teams to Plantation Central Park two weekends ago, raising $2,219 for the Junior Diabetes Research Foundation. Olli Jokinen, a former captain on the Florida Panthers’ hockey team, also made an appearance. Click on the picture to get a bigger view of all those smiling faces. The city council meets at 7:30 p.m. Wednesday. Check Plantation.org for the agenda. The city council also meets in private on Monday to discuss contract negotiations with our police department. Three newsworthy gatherings at the Helen B. Hoffman Library, 501 N. Fig Tree Lane, this week: 1.) Friends of the Library will have their meeting at 9:30 a.m. Monday, and Reference Librarian Tanya Field will present a book talk on The Most of Nora Ephron, a compilation of Ephron’s work; 2.) At 3:30 p.m. Thursday is the Library Board meeting; 3.) From 12:30 p.m. to 2 p.m. Friday, Property Appraiser Marty Kiar’s gang will be on hand to help with homestead, senior and other property tax exemption applications and answer questions on property taxes. 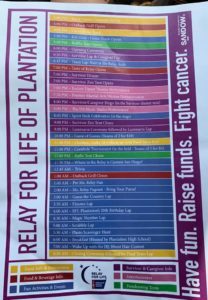 Plantation’s Relay for Life, what I consider to be our city’s signature event, runs from 6:30 p.m. Friday through 9 a.m. Saturday at Central Park track. 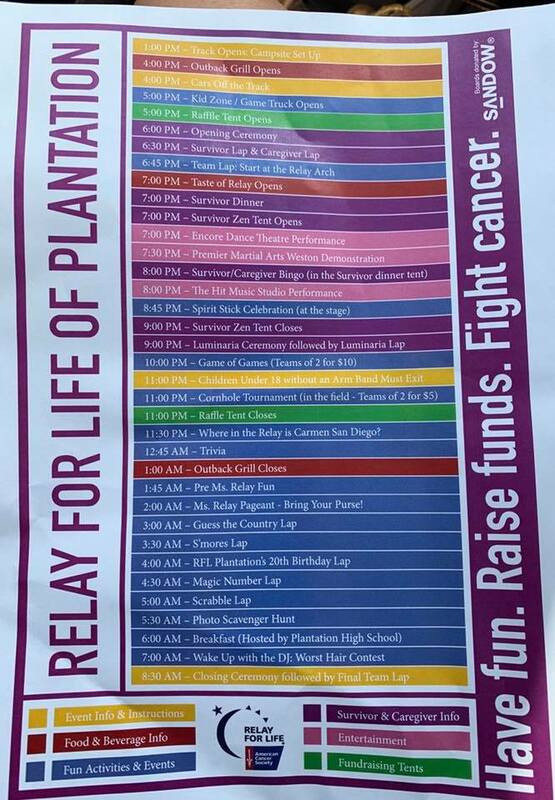 Drag the schedule at left onto your desktop and zoom in to read the schedule. Almost every school will have a team walking, and as far as community events go, you will not see a greater spirit of cooperation any other time throughout the year. As usual, the lights dim at 9 p.m. for a cancer survivor’s walk. Before and after, each tent usually sells knickknacks or snacks to raise more money for cancer research. So bring a few bucks and be generous, please.